Globe photographer Alex Martinez visited the opening reception for the “TACTILIS” exhibition earlier this month in the George S. & Dolores Doré Eccles Art Gallery at South City Campus. 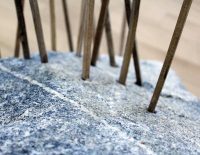 As a touchable art exhibit, “TACTILIS” was curated specifically for the blind and low-vision community. The exhibit will be on display in the Eccles Art Gallery through Nov. 9, 2018. “Linear Exploration” by Shawn Owen. The artwork is part of the “TACTILIS” gallery exhibition currently in the Eccles Art Gallery at South City Campus. “Linear Exploration” by Shawn Owen. The piece is part of a tactile art exhibit designed for blind and low-vision visitors. “Abstraction” is one of the tactile art pieces on display in the Eccles Art Gallery at South City Campus. The “TACTILIS” exhibit allows visitors to touch every piece. “Abstraction” is part of the “TACTILIS” gallery exhibition currently on display in the Eccles Art Gallery at South City Campus. “Black Moon” is one of the tactile art pieces on display in the Eccles Art Gallery at South City Campus. The “TACTILIS” exhibit is open through Nov. 9. “Garden of Eden” by Barbara Tyler. The piece is part of the “TACTILIS” exhibition, now on display in the Eccles Art Gallery at South City Campus. “Jump” by Clinton Whiting. The piece is part of the “TACTILIS” gallery exhibition, which encourages visitors to touch every piece of artwork on display. “Moab” by Ben Booth. The artwork is part of the “TACTILIS” exhibition, which is tailored to the blind and low-vision community. “My Friend Jim” by Suzanne Graham. The piece is part of the “TACTILIS” exhibit, which is geared toward the blind and low-vision community by allowing visitors to touch all of the artwork. “Sweetness” by Nathan M. Brimhall. The artwork is part of the “TACTILIS” gallery exhibition on display in the Eccles Art Gallery at South City Campus. 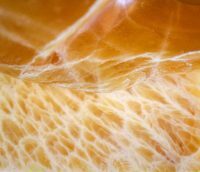 “Touchy Triangulation” by Linda Carol Morrison. Part of the “TACTILIS” gallery exhibition, the piece is on display in the Eccles Art Gallery at South City Campus. “Tridactyl” is one of the pieces included in the “TACTILIS” gallery exhibition at South City Campus. Designed with blind and low-vision visitors in mind, the exhibit allows all visitors to physically touch feel the artwork. 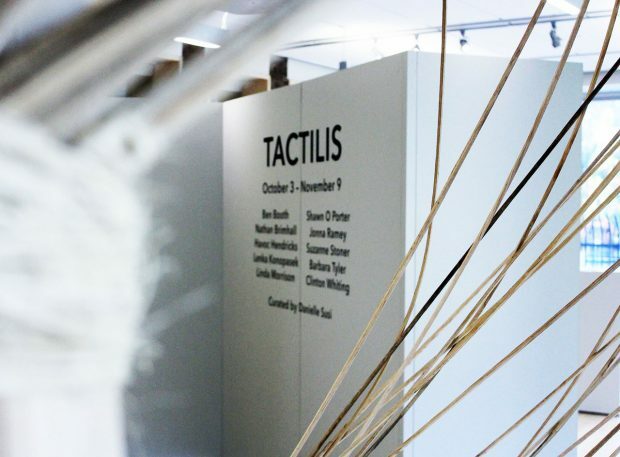 “TACTILIS” will be on display through Nov. 9 in the Eccles Art Gallery at South City Campus. Visitors to the “TACTILIS” gallery exhibition are welcome to look, touch and feel the artwork on display. The exhibit was designed specifically for blind and low-vision people.